Pack 533 does a TON of events and activities throughout the Scouting year. Some are community service project-related, others are fundraisers, and some are educational. Most are just for fun! Parent volunteers run all the events, and your help is absolutely necessary to run our Pack’s fun-filled events. The Pack Committee plans a full calendar of annual events and activities for all scout families to enjoy. Almost all the times, dates, locations and other event details are set before the beginning of the school year. So check Scoutbook for our Pack’s Calendar of events. New families will get their ScoutTrack login within days of joining our Pack. The below list of events and activities only state the month or season that the events are in. Pack 533’s website (this website) does not have the exact time, date or location for each event, because they can change annually. Contact your Den Leader or the Membership Chair if you have questions on how to use the Scoutbook website. Facebook Group page "Pack 533 Keith Elementary" will be used for all event correspondence, RSVP, and updates. This will be a closed group, opened only to scout parents in Pack 533. Please arrive early and sign the attendance log if necessary for events that will need to track your Scout's attendance for participation patches, pins, or costs relating to paying for your scout's attendance. All the details for the events will be discussed at Pack and Den Meetings and posted on "Pack 533 Keith Elementary" prior to the events. Pack 533 uses Scoutbook for automatic email reminders. Contact the event coordinators or your Den Leader with any specific questions you may have. Pack Meetings: (once monthly) are considered Spirit of Scouting events. The Pack gathers once a month to celebrate Scouting together, whether it is with theme-oriented skits, songs, games or events. 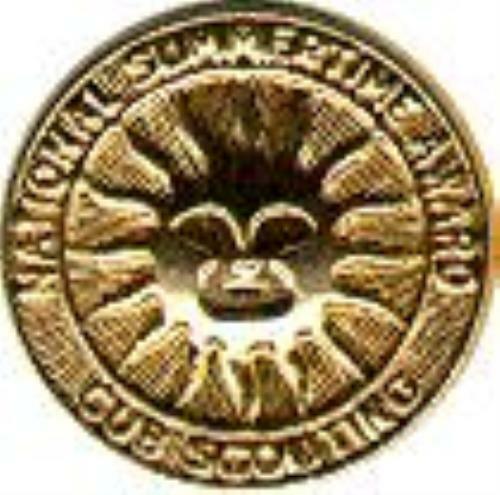 At some Pack Meetings, we also recognize Scouts that have earned awards or badges. The whole family is invited to attend. Pack 533 usually meets every 3rd Thursday at Keith Elementary School's cafeteria. We also meet at local area churches for some events like Blue and Gold Banquet. Siblings are welcome to attend. Parents please bring something to occupy the sibling. Den Meetings: (twice monthly) are for a smaller group of scouts to meet by Scout rank with their Den Leaders. Your Den Leaders set the actual times, dates, and locations, but all the Dens generally try to meet at Keith's cafeteria the 1st and the 4th Thursday of each month. Your Den Leaders will announce the exact Den Meeting schedule at the start of each Scout Season. The scouts do projects, events, and other fun activities with their peers, learning something new and productive for their young mental, social, and moral development. The scouts are also working toward achieving their next rank in Scouting and having fun along the way. At least one Parent will attend with his/her son(s). Dens generally meet on the 1st and the 4th Thursday night from 7:00pm - 8:00pm. Leaders' Meetings: (once monthly) are for all the adult Leaders and Chairs that help run the Pack. These meetings are open to parents of Pack 533. These Leader Meetings are generally at the Committee Chair's house or HEB-Fairfield with time and date set by him or her. Committee Meetings: (once or twice monthly over the summer) are for all Committee Members to work on our annual calendar of events and other Pack Committee functions. These Committee Meetings are generally at the Committee Chair's house with time and date set by him or her. District Roundtable: (once monthly) is for some of the adult Leaders like the Committee Chair, Cubmaster and some event Chairs to attend to find out what the Big Cypress District has planned for the scout units. Fall Registration Night: (September) is our annual recruiting drive for new scouts. This is where new scouts join Pack 533 and pay their Annual Dues. The First Pack Meeting is where current scout families pay their Annual Dues, Campout Fees, and buy Pack 533's Class "B" t-shirts. Also, families will fill out the Annual Medical Heath Record forms, other required forms, and necessary Scouting paperwork. At Keith Elementary School's cafeteria. Parents bring pens and cash, credit/debit card, or check (payable to Pack 533). Click on the "Parent's Page" link on the left side menu to for all paperwork needed. Click on the "Budget & Dues" link on the left side menu to see cost. Popcorn Sales: (October) is an official BSA (Boy Scouts of America) annual fundraiser to help pay for your son's awards and Pack 533's costs for events and activities. Pack 533 earns a substantial portion (about 1/3rd) of its operating budget from the popcorn sales, so we ask every family to support their son's effort to give something back to our Pack. This event runs over many months. A good portion of the money raised also funds the national BSA program. Scouts must wear their Class "A" uniform if going door to door to sell. Uniform Inspection and Pack Photos: (October) is an event early in the scout year where each Scout’s uniform is inspected by a Pack Leader. This event will help parents dress their Scouts correctly. Pack 533 will also be taking Pack, Den and other group photos at this event. Our Pack 533 Photographer does this non-profit photo shoot for our Pack families. See "Your Scout's Uniform" section on "Parents' page" webpage for PDF documents for dressing your Scout properly. The "Uniform Inspection Check List" PDF below in the attachment area of this webpage is what the Den Leaders will be checking for. Scouts with all check marks for both required and optional uniform pieces on the inspection check list will win a prize! Please only share you own child's pictures on public websites!!! Each Den with Den Leaders and Scouts in goofy, silly, crazy pose! Pushmobile Race: (October) is a go-cart race where one scout sits and steers the go-cart while another scout is pushing him down a race track as fast as they can go! Every scout takes a turn and parents watch their kids go crazy wild at this event! There are awards for the top finishing team for each Scout Rank. At Keith Elementary School's parking lot. Parents bring your cameras for this fun-filled event! Scouts can wear their Class "B" uniform. Wear jeans and good closed toe shoes for this event. Sibling, girls, adults and Pack Leaders will be racing also!!! Fall Campout: (November) is camping fun for the whole family. We generally go to a local state park and arrive on a Friday afternoon and leave that following Sunday morning. During the campout the kids will have planned activities relating to nature, camping, scouting, learning new life skills, community service and general outdoor fun. We have our monthly Pack Meeting during these campouts also. Skits and plays will be put on by the scouts, parents and adult leaders! This style of camping is very simple with easy parking for your car right at the camp site and electrical (most of the time) and water hookups are available. Families come and have a great time together with Pack 533 under the night sky and out in nature! BSA's Annual Health and Medical Record (for every family member attending campout) is required to go camping. See "Parents' Page" on the left side menu for detail on BSA's Annual Health and Medical Record . Click on the "Budget & Dues" link on the left side menu to see the annual campout cost. Check your ScoutTrack's calendar for campout fee collection DEADLINES. Print out "Cub Scout Camping Checklist" PDF below in the attachment area of this webpage. Scouts can wear their Class "B" uniform during hot activities. Scouts should wear their Class "A" uniform for night ceremonies. Bring plenty of water...scouts may not be able to participate in Pack 533 activities during campout if it is super-hot out and your kids have no water on their them during these activities. Christmas Party: (December) is our annual party for the kids. There will be multiple stations of fun, creative, Christmas-related activities for your scouts. Siblings are invited to attend and do all the fun stuff along with us. Parent come prepared to help your scouts along with others. We pass out Pinewood Derby Car kits at the end of this event. 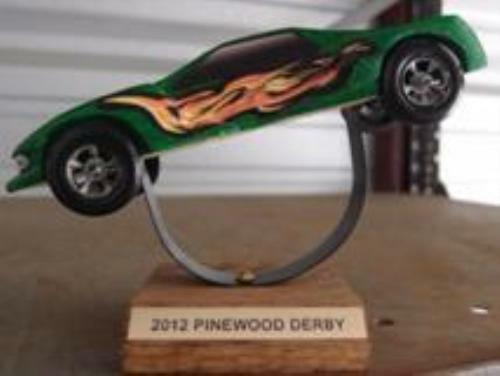 Siblings and adults pinewood cars will have their own “Open Class” and “Siblings” races and get trophies for placing first in the Pack 533 Pinewood Derby Race in January. This is a great chance for the parents, girls and siblings to enjoy the Pinewood Derby Races with their brothers and sons. Some years, we are lucky enough to have Santa in attendance for our party! Christmas Tree Pickup: (January) is one of our annual community service projects. We pick up and recycle our local Fairfield neighborhood Christmas trees. We rally at Keith Elementary School's parking lot first. Parents, make sure you scout has good working gloves and plenty of water. Parents bring your truck, trailer, van or SUVs for this event. Pinewood Derby Race: (January) is strictly for FUN! The race gives you and your son (and daughters and siblings) the chance to show your mechanical and engineering skills. All the Scouts will cut out and decorate a Pinewood Derby car to race against all the other cars in Pack 533. The cars start out as simple blocks of wood but with a little time and a little assistance, it is amazing what your son, daughter and sibling you can turn the cars into. There is an "Open Class" race for the adults and a race just for the sibling also, so they can create their own cars and join us in the racing fun! 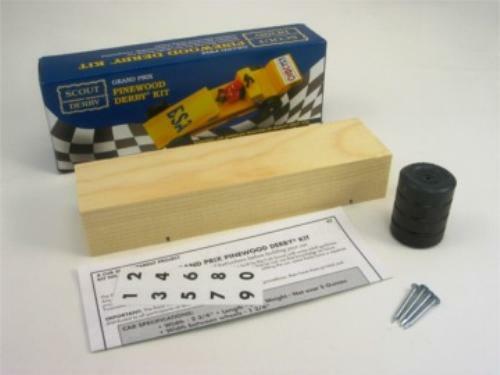 Get your official BSA Pinewood Derby Car Kit at the Christmas Party in the previous month. Each scout gets one car kit free and it is $10 (cash or check payable to Pack 533) for adults and siblings. All money collected for car kits sold will be donated to FOS (Friends of Scouting) at our annual Blue and Gold Banquet. Car build rules are in your official car kit and most be followed! Make sure to get your Pinewood Derby Patch before you leave the Impound that Thursday. mandatory width between wheels - 1-3/4"
mandatory bottom clearance between car and track - 3/8"
Use only official Cub Scout Grand Prix Pinewood Derby wheels and axles. Each car must pass inspection by the official Pinewood Derby Race Inspection Committee before it may compete. If, at registration (Impound ), a car does not pass inspection, the owner will be informed of the reason for failure, and will be given time that night before Impound is over to make the adjustment. After final approval, cars will not be re-inspected unless the car is damaged in handling or in a race and the Pinewood Derby Chair will take possession of the cars until race day. The car must have been made during the current year (the year in which the derby is held). No loose materials of any kind (such as lead shot) are allowed in the car. "Open Class" races for the adults and Siblings races do not have to follow the above car build rules but the overall dimensions and weight should be adhered to so the cars can easily race down our track. We will have a simple pit station outside during impound with weight scale, glue gun and drill to remove excess weight form your car if necessary. We will not have weights at the pit station to add to your car. Make sure to bring your own weights if you plan on adding weights during the impound process. If there is a problem with entering your car then rush home to fix it or fix it as best as you possible can outside at our pit station. There is NOT a lot of time to adjust your car during the impound process so make sure to get it right at home first before bring it to register on Impound night. Cars that don't meet the build rules above can enter the car into the "Open Class" or Siblings race instead, this includes Scout cars that do not qualify. All judgment by the Pinewood Derby Chair and his/her helpers are final! Cars with 100% stickers on them are the "100% Done by Scouts" cars. Voting on Car Contest is done 30 minutes before race time only so arrive early and vote. Scouting for Food: (January) is another one of our annual community service projects. 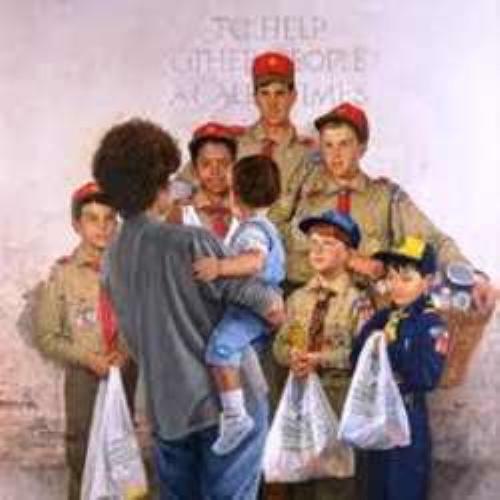 Scouting for Food is BSA's (Boy Scouts of America) annual nationwide service project. All food donations go to (CAM) Cypress Assistance Ministries. One Saturday morning, the scouts will put up door hangers in our neighborhood asking for food donation. On the following Saturday, the scouts will go around and pick up the food donation, which is then delivered to CAM's (Cypress Assistance Ministries) food pantry. Also, if the Scout Fair Coupon Book Sales fundraiser has already started, it is now a good time to sell those same Coupon Books door to door as your scouts are picking up the food! Dress your Cub Scouts up in their full CLASS "A" uniforms for this event. Neighbors cannot say "no" to Cub Scout in his dress blues! Parents, make sure your scout has good walking shoes and water. Parents bring your trucks, vans or SUVs to help with picking up food. Scout Fair Coupon Book Sales: (February) is SHAC's (Sam Houston Area Council) official annual fundraiser to help pay for your son’s awards and Pack 533's cost for events and activities. Pack 533 earns a substantial portion of its operating budget from the Scout Fair Coupon Book sales, so we ask every family to support their son's effort to give something back to our Pack. Pack 533 generally goes door to door to sell the coupon books. We also sell the coupon books at area Kroger stores. Our Pack will get the dates for the Kroger store from from SHAC. Scouts are to be in their Class "A" uniform when selling coupon books. Blue and Gold Banquet: (February) is a Spirit of Scouting event for all the Pack’s Scouts and extended families including grandparents. This is a celebration of the birthday of Scouting. We have a pot-luck dinner with entertainment and fun activities for the kids. Pack 533 provides the main course food and drinks. Parents may be asked to bring sides and/or desserts. Will also raffle off really nice prizes at the end of the banquet. Bring your cameras for this fun event. Raffle tickets are $1 per ticket. Parents bring some cash or check (payable to Pack 533) to buy raffle tickets for some great prizes. There is no cost for attending this banquet. Scouts are to be in their Class "A" uniform. Make sure to invite the grandparents also! Cake Bake Auction and Contest: (March) is Pack 533’s annual small fundraiser and cake bake contest for our Scouts. Parents of the scout will help their Scout bake a cake and decorate it! The Scout's cake will be entered into a contest and then auctioned off. A portion of the fundraising monies will be donated to our Keith Elementary School PTO group. Keith Elementary School PTO is our official Cub Scout Pack 533 sponsor and provides us with meeting space at Keith's cafeteria. The rest of the fundraising monies goes towards paying for your Scout’s patches, pins, awards and general budget. This is big fun for the Scouts, and it brings out the creativity with their families. All cakes will be auctioned off to the highest bidder starting at $5. 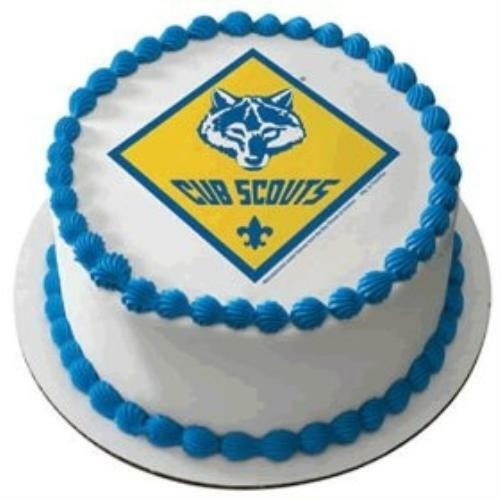 The contest is only for the Scouts in our Pack 533, but the cake auction is open to everybody including grandparents, uncles and the general public to donate a cake for the auction and to also bid and win one of the Scout's crazy and delicious cake creations! Parents, grandparents and the public... bring cash or checks (payable to Pack 533) to buy your son's cake or other scouts' crazy cakes in this fun auction! And don't forget to stay to the very end where the Den with the highest cake sales gets to put "A PIE IN THE FACE" of the adult of their choice (with the adult's permission, of course). These rules are for the judging contest only...you can enter any cake style or store purchased cake into the auction. Scout must be present to participate in the contest. Cake must be home made and not store purchased. The cake creation must be edible. All judging is based on a purely edible creation. Cake trays will be auctioned off with the cake itself. Judges picked from the audience cannot be the parents of any Scout with a cake entered into the contest. An alternative is to let the scouts vote on the cakes. 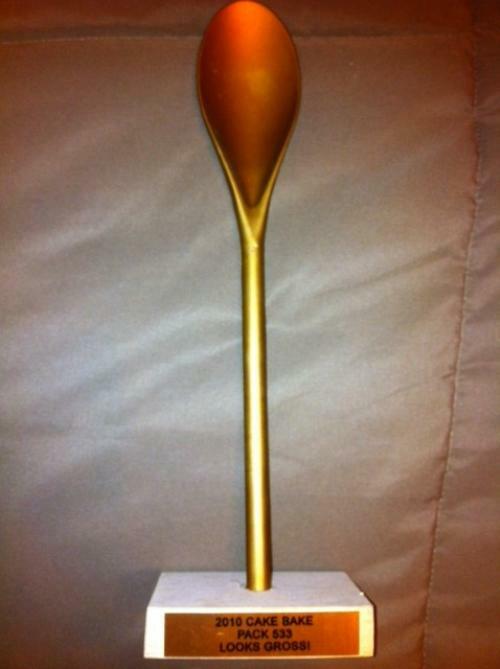 Contest trophies given at end of auction. Scout Fair: (April) is SHAC's (Sam Houston Area Council) annual scouting showcase! 16 local Houston counties will unite at Reliant Center to show off their scouting skills. There is food and tons of activities for your whole family to enjoy. Visit the midway with over 60 experts representing Boy Scout merit badges. This is an event for all Cub and Boy Scouts in the Houston area. Pack 533 also supports the Scout Fair with our very own booth with a ring toss contest and candy for all! Good walking shoes for all, it is huge event and there are booths inside and outside. Some drinking water for the day. 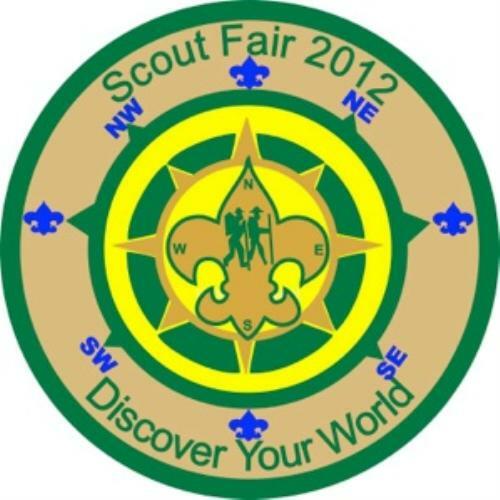 Check your email a few days prior to event for a PDF map of the Scout Fair grounds. Put a checklist together of all items you want your sons to achieve. Most of the outside food is free and cooked by Boy Scouts. There are inside food vendors, so bring money. Spring Campout: (April) See "Fall Campout" description further above on this webpage for details, descriptions and download PDFs for camping out with Pack 533. Crossover (Graduation) Ceremony: (May) is the celebration of you and your son's hard work throughout this scout year. In this ceremony, your scout will be bridging over into his next Cub Scout rank. Please join your Pack 533 for this beautiful ceremony. Spring Rally Night: (May) is the 2nd annual recruiting night for new scouts. This is where new scouts join Pack 533. Pack 533's Dues are prorated for new scouts joining us during this period of time. Parents bring pens and cash or check (payable to Pack 533). Summertime Activities: (4 or more events over the summer) are planned each year and can include bowling, rock climbing, skating, parade, picnic, museum visit, and pool party. These events are strictly for fun! Every summer, Pack 533 has been able to pay the entrance costs for all scouts that registered the previous fall. We hope we are able to continue to do this. Parents pays for themselves and any siblings that will be joining us for these events. Scouts who joined during the spring rally may participate in all summer events; however, we will ask parents to pay for their participation in the activities that require fees (if you choose to participate). Parents, bring cash or check (payable to Pack 533) if you have to pay for anything like museum entrance fees for yourself and siblings. DayCamp: (summer) is Big Cypress District's annual summer camp for Cub Scouts. This year’s camps will be full of fun and excitement. Scouts will make new friends and share all kinds of new experiences such as earning rank advancements, archery, learning skills, playing sports and games and making crafts. Each camper will receive a t-shirt and patch.